Pull up to the Mission Tiki this Friday and meet the Lowriders Car Stars! 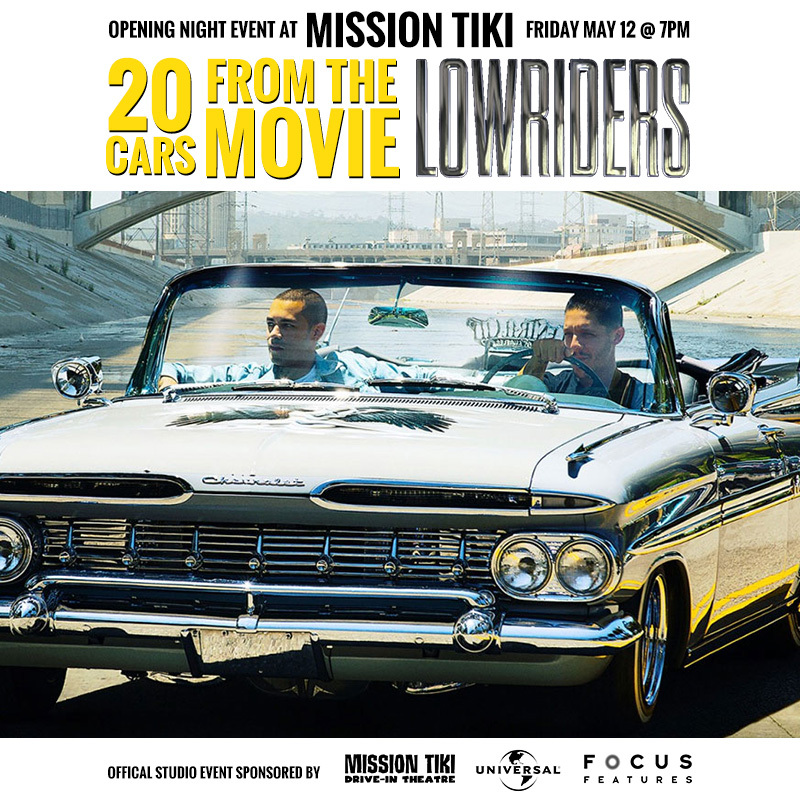 We are pleased to announce that Universal Pictures & Focus Features have organized a opening night event for LOWRIDERS at the Mission Tiki. Participating in this event will be representatives of Focus Features and their invited guests, who are the occupants of about 20 lowrider cars which appeared in the movie. The event will be staged in the front rows of theatre #1. Come early and meet the LOWRIDERS CAR STARS! Friday, May 12th. Gates open at 7:00 PM and showtime at 8:15 PM. Tickets are purchased at the gate upon entry. Adults $9 Kids (5-9 years) $1.